You guys, I’m working on a merino pullover. 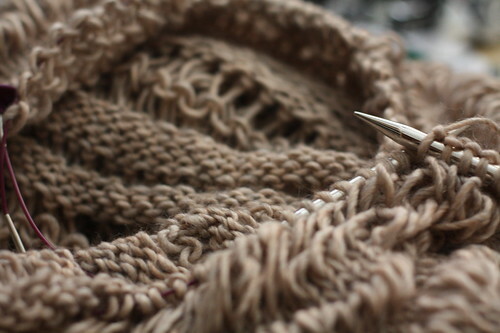 Possibly the worst time to knit such a thing but it was one of those projects that needed to be started right away. I’m already at the neck shaping (it’s worked bottom up) and hope to have it finished soon. Last week I went to Larchmont Bungalow to meet up with Katie of Under the Red Umbrella. She’s awesome and didn’t even mention my jacked eyebrow 😉 So glad I have a local knitting friend! Hhaha – I totally forgot about your eyebrow! I didn’t even notice! That pullover looks awesome. 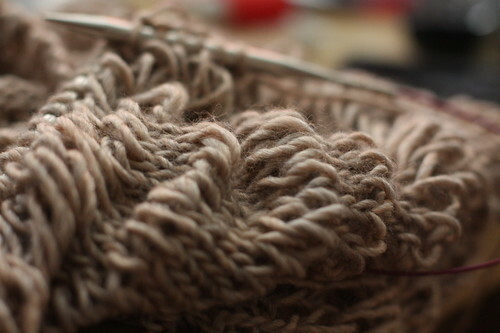 I’m totally guilty of knitting with thick wool in the summer, but right now I’m doing a cotton blend. Makin’ good choices! They’re actually pancakes! 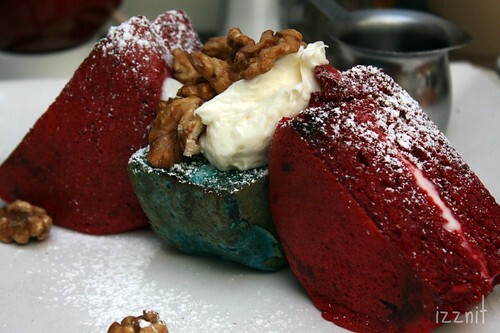 Red and blue velvet. I think they added the blue in there to distinguish themselves from other restaurants? I always like reading about your projects. Good luck!